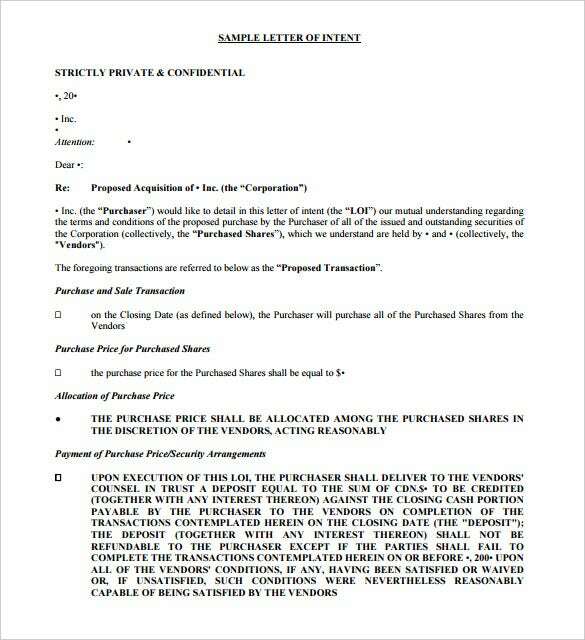 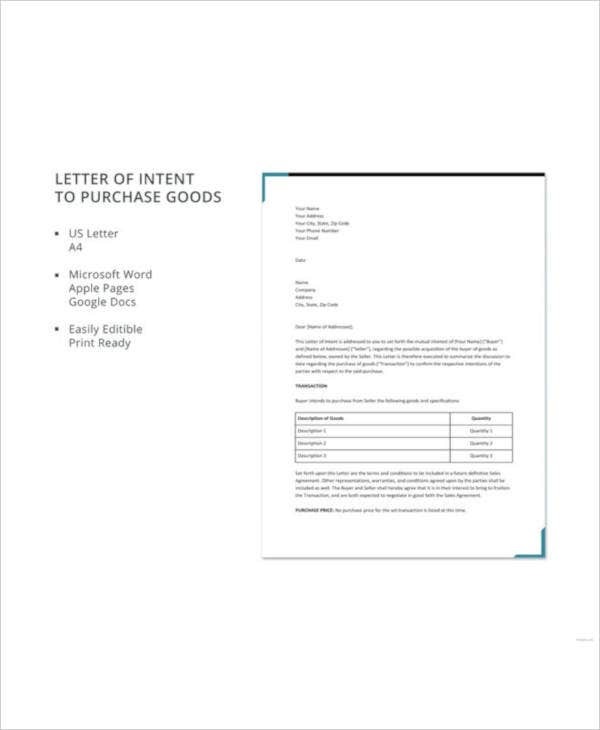 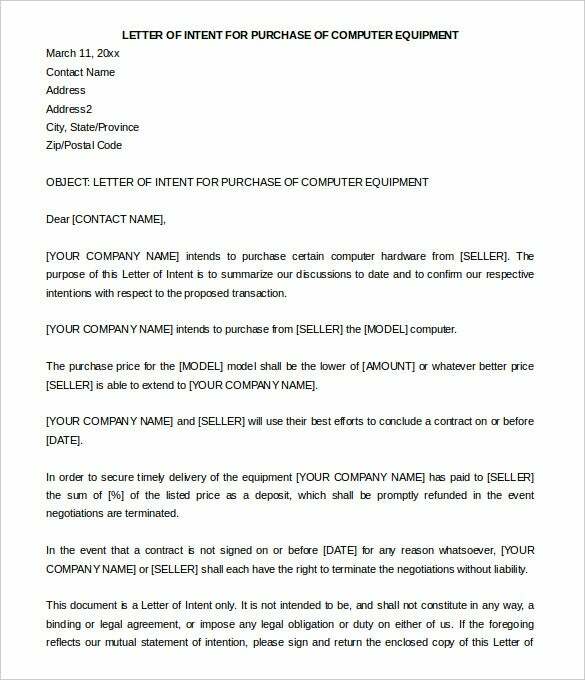 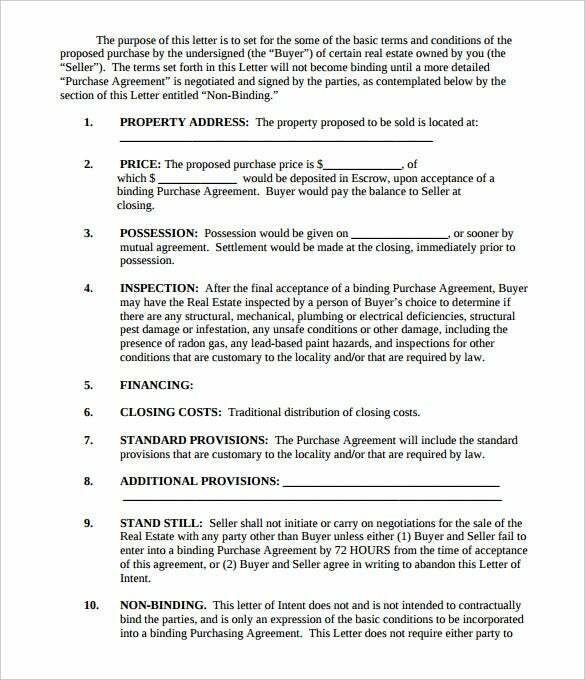 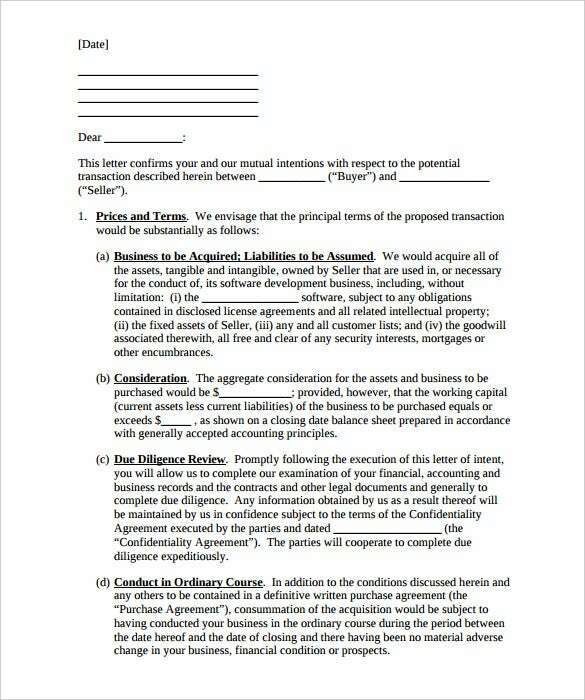 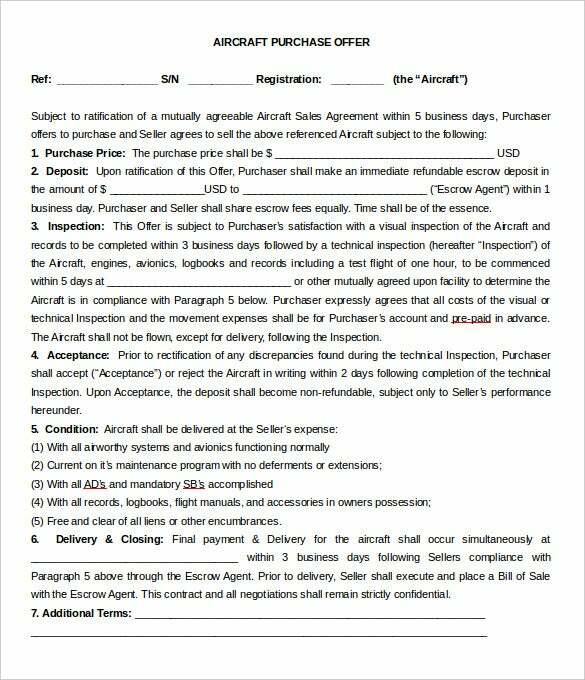 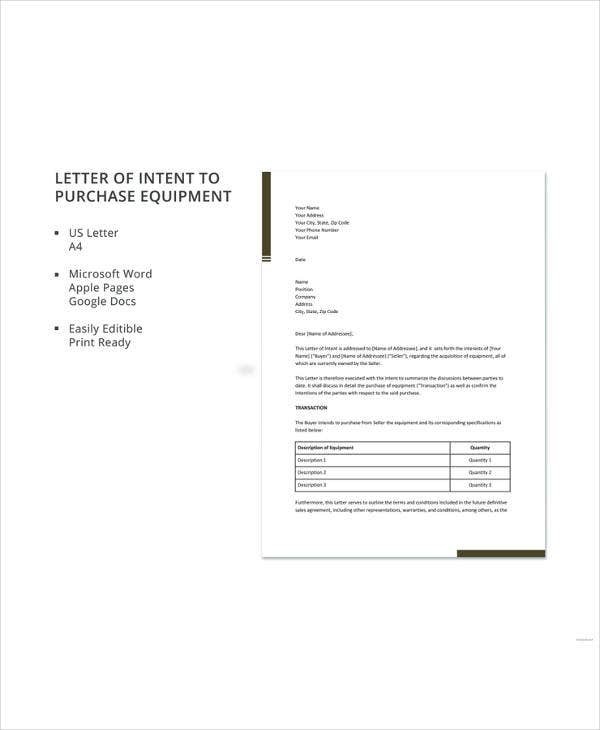 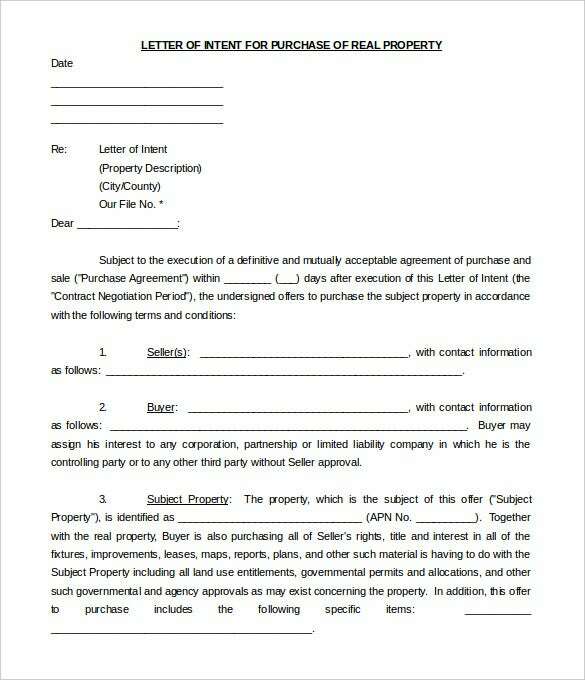 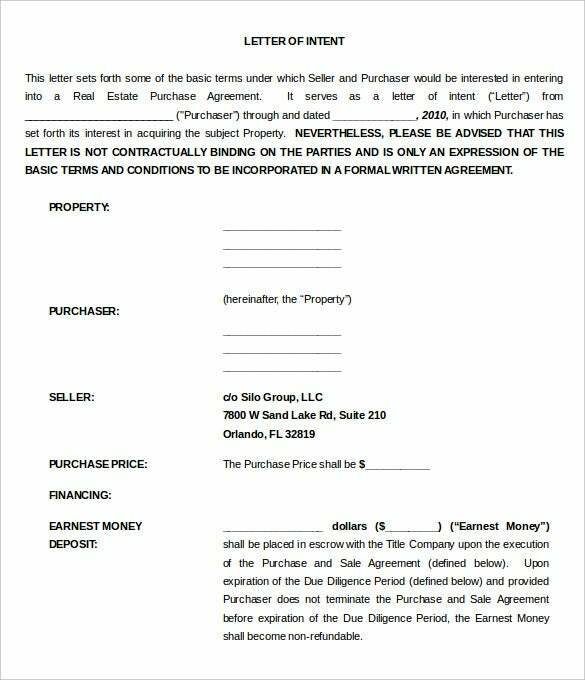 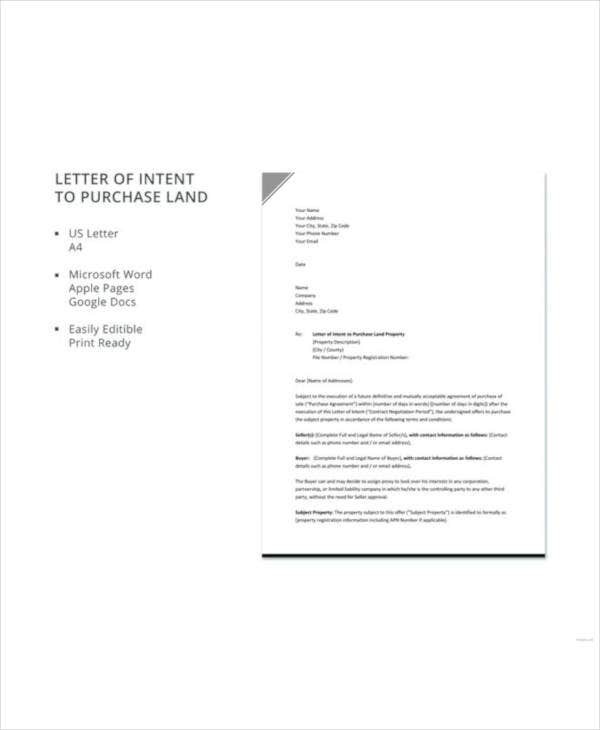 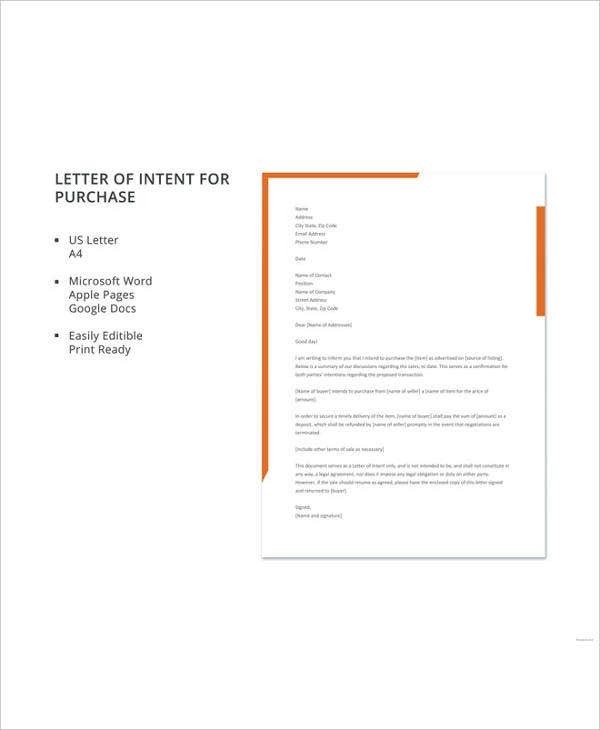 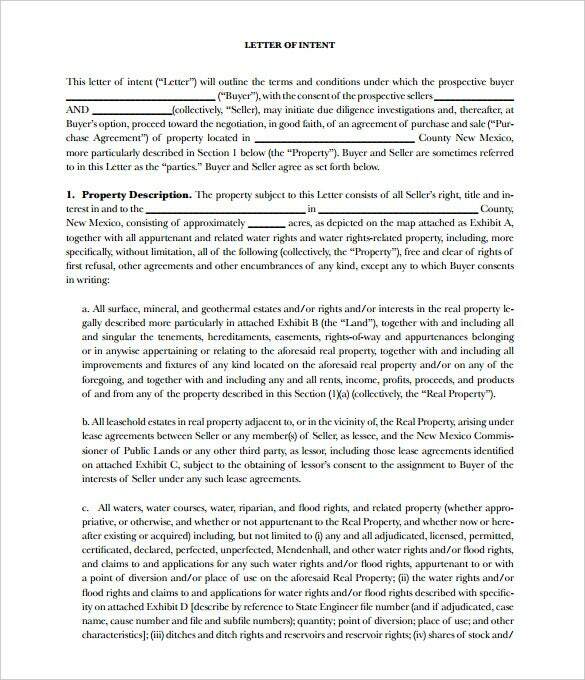 A purchase letter of intent, as the name suggests, refers to a letter of intent that states intention of a proposed deal concerning a major purchase. 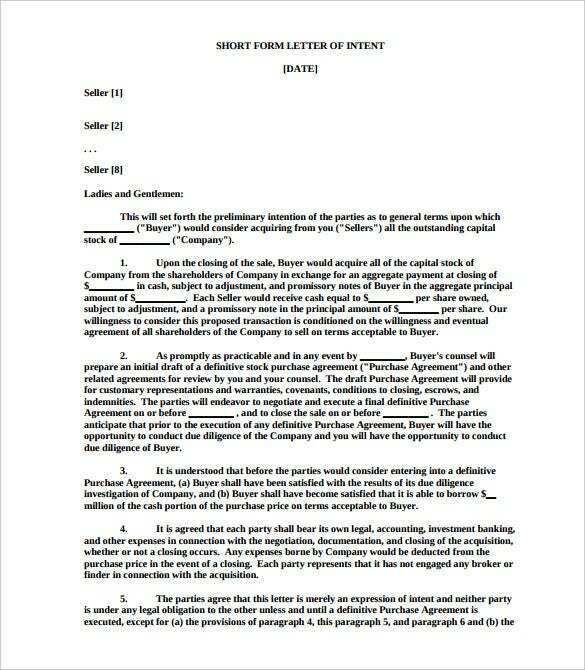 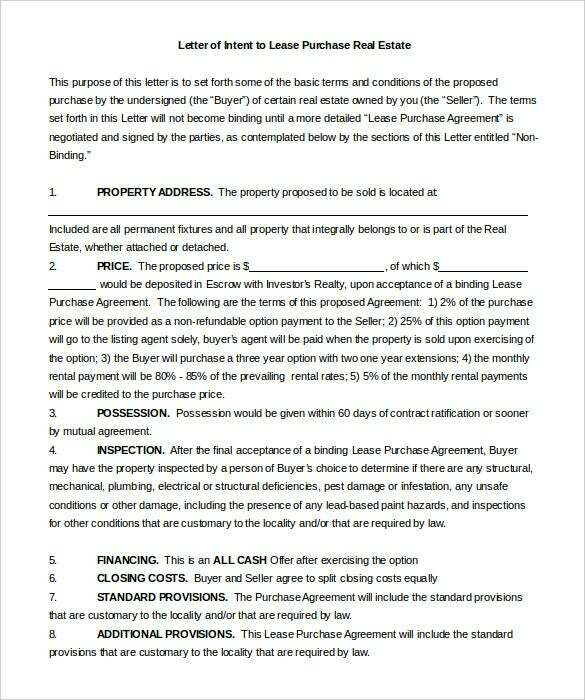 If it’s regarding the purchase of a company it would be a business letter of intent and real estate LOI if it is for the purchase of a property. 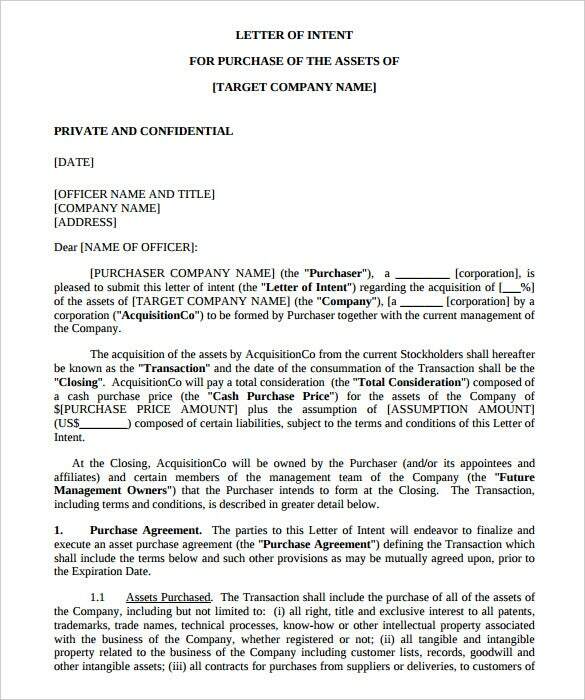 Such letters could also signify purchase of shares or assets.